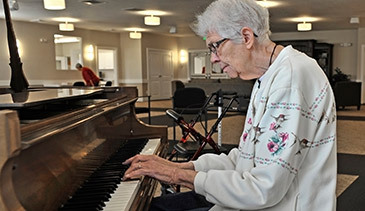 Abbington Senior Living recognizes the special needs of those living with various forms of memory loss and Alzheimer’s disease. Our staff has been trained in techniques that will help communicate with empathy and stimulate the memories and senses. The environment is designed to encourage an enriched life, supported with love and dignity.